The @OutsideComicCon Twitter account flew past 2000 followers this weekend. 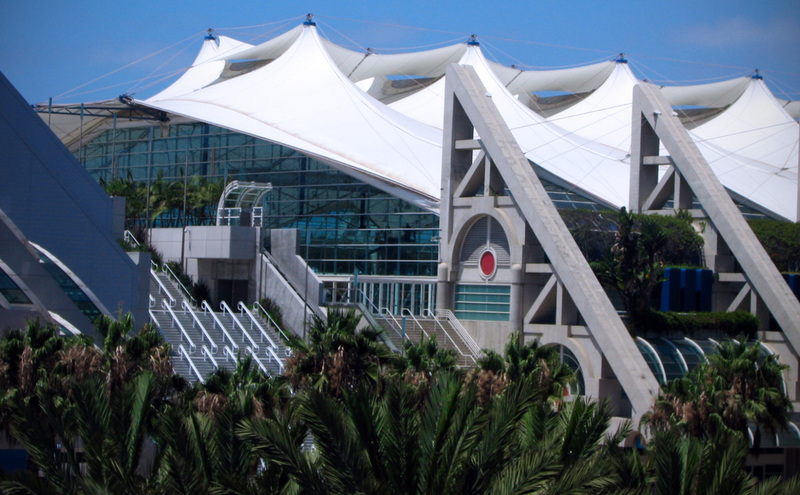 To celebrate, I am giving away some Comic-Con stuff! Enter from now until 11:59pm PST on Wednesday, June 26. Two winners will be selected who each get an outside SDCC swag bag (well, most of the stuff came from outside the con). Winners can pick up swag items from me at our Preview Night Party on Wednesday July 17 at the Hilton Bayfront. Otherwise, I will mail the items if a winner is not attending SDCC. 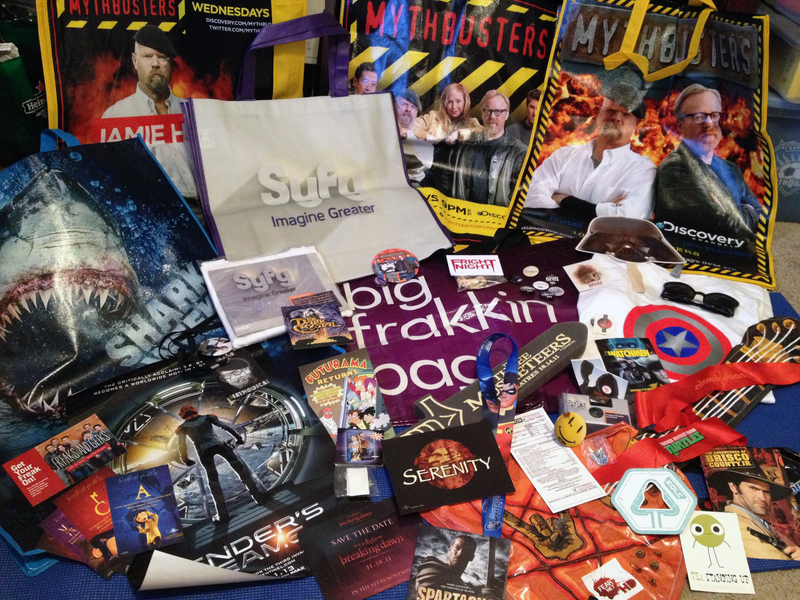 Mythbusters bags, Syfy bags incl. the Battlestar “Big Frakkin Bag,” Syfy shirt iron-ons (Eureka/Stargate/etc), Captain America preview screening T-Shirt, Teenage Mutant Ninja Turtles eye mask (Raphael), Tron paper item from Flynn’s Arcade, Transformers pin, Paul alien sunglasses, Haven button, Fright Night vampire teeth, Freaks & Geeks postcard, Dead Like Me stickers, Futurama comic, Serenity (2005) postcard and temporary tattoo, Dark Crystal postcard, Brisco County Jr. postcard, Coraline alphabet postcards, Last Mimzy glow-in-the-dark star set, a Watchmen Comedian button, a Heroes Vote Petrelli button, and more! Winners will each receive a random selection of the items. If winners are both at the SDCC meetup, they are welcome to swap goodies as they like! Enter via this Rafflecopter widget using Facebook and Twitter!